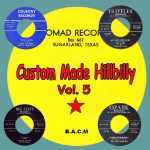 Another set of Starday Custom releases, obscure artistes, bringing us into the early ‘60s with a mix of country and rockabilly. Some real gems here despite the obscure names; the only act which achieved some broader fame was the Cackle Sisters (named for their amazing impersonations of animal sounds as well as their yodelling), also known as the De Zurick Sisters). 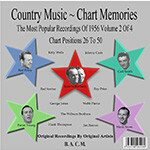 But the voices, arrangements and songs are all good, authentic ‘50s-style country’ - This CD will be enjoyed by folks who like the authentic sounds of 1950s/early ‘60s country and who like hearing songs and artists they’ve not heard before. 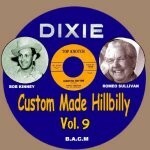 Another volume of hillbilly gospel recordings on the Starday “Custom” label, this time from 1959 to 1962. 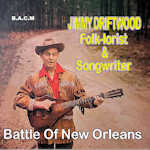 Many of them from obscure acts with self-penned songs; will be enjoyed by fans of Bluegrass. 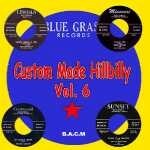 Yet another assortment of solid country tracks from this great series, recordings from the Starday Custom label, mix of lesser known and big stars. As always we have taken care to arrange a nice balanced programme, perfect for sitting back and enjoying an hour of good, real Country! Our fifth Starday Custom collection, this time recordings from around 1958 mainly with a Rockabilly flavour. 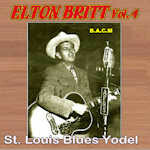 30 excellent Gospel tracks, 1954-60, mainly in Bluegrass style plus some Hillbilly and Country, all issued on the Starday Custom label. Another volume of obscure Starday custom pressings, this time from mid 1956 to mid 1958. 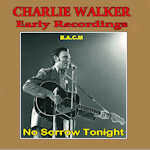 Includes the rare Willie Nelson No place for me, recorded in 1957, long before he became a country legend. 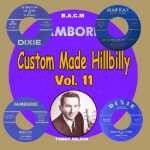 This CD looks at material issued on the Starday Custom series and features a variety of lesser known performers, recorded between 1954 and 1956. 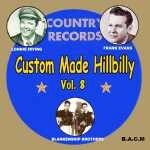 The second volume of recordings from the Starday Custom label; carries on to 1957 with a variety of styles from 21 lesser known artists; some provide a stark reminder that having great talent is no guarantee of fame and success!